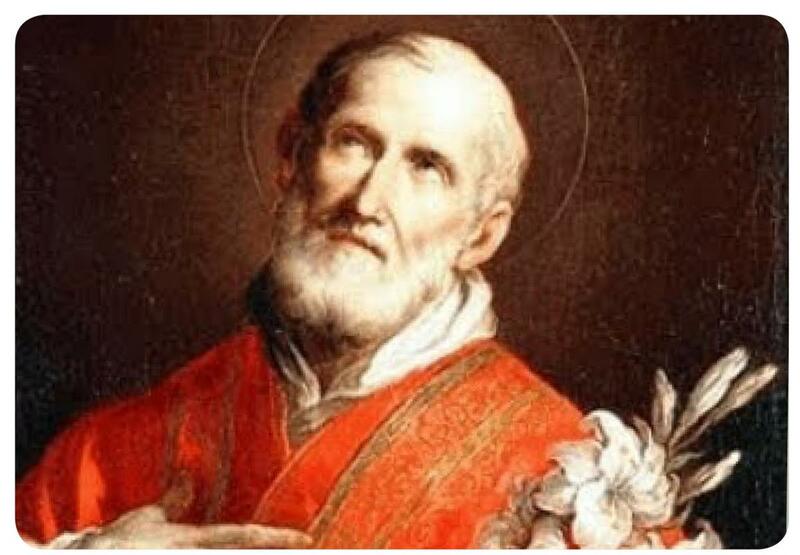 Saint Philip Neri was born in Florence in 1515. From a very early age, he was attracted to virtue, and was awakened to the love of God through the Dominicans at San Marco, where the memory of Savonarola was still very much alive and the frescoes by the Blessed Fra Angelico still had their vibrant colours. In his late teens, he was sent by his family to live with an uncle in San Germano near the Benedictine Abbey of Monte Cassino, with the understanding that he would become heir to his uncle’s business and great wealth. But, through prayer, Philip soon discovered that earthly riches could never satisfy his heart. So he renounced the inheritance and left San Germano for Rome, where he arrived probably in 1533, at the age of eighteen. While still a layman, Philip encouraged the people of Rome to raise their minds and hearts to God. He was instrumental in popularizing the Forty Hours’ Devotion to the Blessed Sacrament. And he effectively organized works of charity such as the care of the sick, and lodging and feeding pilgrims who came to Rome. Because of his humility, Philip did not aspire to the priesthood, but in obedience he submitted to his confessor’s wishes and was ordained in 1551. As a priest, Philip was able to win more souls for God through the confessional. He was also able to preach with more authority. Soon, the informal discourses on the Word of God, which took place in his room, developed into daily sermons in a small chapel which he had built for the purpose. This chapel, called an Oratory, would eventually lend its name to the community of priests who, under Philip, devoted themselves to this apostolate. By the time that this initiative received its first papal recognition in 1575, there were close to forty priests taking part in the afternoon exercises, which featured four talks, interspersed with music. One of the remarkable things about Philip’s apostolate was the wide spectrum of people it attracted. Cardinals and other prelates, priests and religious, nobles and servants, musicians and artists, tradesmen, shopkeepers, soldiers, and people on the edge of respectable society – and sometimes beyond it – could all be found at the Oratory and among Philip’s penitents. Philip’s joyful character was irresistible and his talents for devising paths to holiness were legendary. To keep people away from the sinful excesses of various carnivals, he began a pilgrimage to seven of Rome’s most renowned churches. He took large numbers of people to the outskirts of Rome to enjoy a picnic in which religious truths were as much a part of the fare as good food and entertainment and Christian charity. And he counselled his penitents to put their faith into practice by visiting the sick in hospitals and helping the poor to find means to better their lot. Saint Philip knew that humility was the indispensable requirement for sanctity. He counselled the mortification of the intellect rather than prolonged fasts and the wearing of hair shirts. Think little of being thought little of – despise being despised – was one of his oft-repeated sayings, as was the advice to love to be unknown – amare nesciri. But Philip’s humility and total dedication of himself to God could not remain hidden for long. Stories abound of the Saint’s wisdom, insight, and holiness (and miraculous interventions) as he brought people from all walks of life closer to God. The second reading for the Mass in his honour shows the breadth of his imagination in his work for the Gospel: ‘Finally, brethren, whatever is true, whatever is honourable, whatever is just, whatever is pure, whatever is lovely, whatever is gracious, if there is any excellence, if there is anything worthy of praise, think about these things’ (Phil. 4:8). Philip died on 26 May 1595, on the day after the feast of Corpus Christi, just two months shy of his eightieth birthday. During his lifetime, Philip had counted many canonized Saints among his friends – Saint Charles Borromeo, Saint Felix of Cantalice, Saint Ignatius of Loyola, Saint Camillus of Lellis, Saint John Leonard, to name just a few. So it is appropriate that he was canonized in 1622 on the same day as four other Saints – Saint Ignatius of Loyola, Saint Francis Xavier, Saint Teresa of Avila, and Saint Isidore the Farmer.